Vagabond- a person who wander from place to place without a permanent home. Question 1 : what does vagabond ask for the first stanza of the poem? Question 2 : What does the vagabond not wished for? Question 3 : What does the poet say about autumn or winter? Question 4 : Quote the lines that are repeated in the poem. Why are these lines repeated? Question 5 : what does the poet want from life? Name three things he can do without. Question 6 : what are the plans of the poet? Question 7 : How does the poet lead his life during winter? Question 8 : Why does the poet not have any expectation? Question 9: Why does the poet choose to be a vagabond? Answer 1 : Generally people like a life of steadiness, security and certainty. 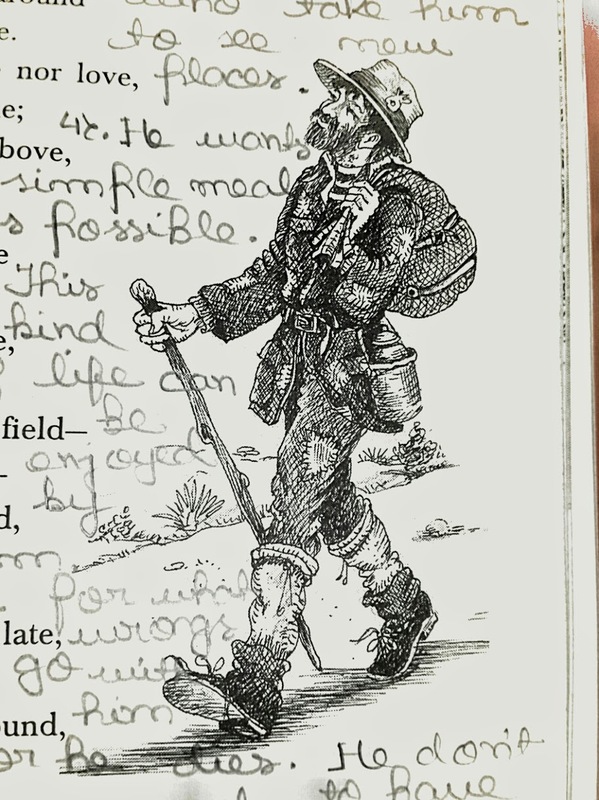 but R L Stevenson likes to live the life of a vagabond. He sings the glory of aimless wandering life. The vagabond love to live with the minimum requirements of life. What he wants are the sky above a bed in the bus bread for food and river water to drink and nothing more. Answer 2: the Vagabond does not wish for a friend , hope or wealth . Answer 3: the pas has described rosy vividly the autumn and winter in the poem Vagabond. In autumn the field looks barren g the leaves have fallen off the tree. the birds are no more longer seen singing on the trees. The cold is so severe in the winter that blood almost freezes and the finger looks blue. The fields are covered with snow. The fireside is the only place which can give only warmth and relief to the vagabond. Let what will be o'er me. The poet has repeated these lines in order to emphasize the intense feelings of the vagabond. It also shows the poet's strong desires to lead a carefree life without tearing neither death nor the severe weather conditions.He stresses on the wish of the vagabond that he does not want wealth , hope or friend , but he only wants to roam on the roads before him under the sky full of stars. Answerer 5: the poet wants a life which is carefree and wandering. He wants to sleep on the grass and watch the open sky about it. He wants to eat only bread and drink water from the river. the poet does not want wealth , love or hope. He only wishes to room all over the world without fearing death. * lone and friends . Answer 6: According to poet he is ready for death which would come sooner or later and if it does not come , he has the roads before him to travel around the whole world and the sky above it. These are the poet 's plan. Answerer 7: During the winter there is no change in the poet's lifestyle, he also roams in the frosty fields ; which makes the blood almost freezes and the finger looks blue. He eats whatever food he gets from the frosty fields. He keeps himself warm with the help of someone else as fire and continues with his overlasting journey without yielding to winter. Answerer 8: The poet does not have any expectation from life because he takes in his strides whatever life caters to him. It is because he does not have any expectation as he is satisfied with his own way of life. Answerer 9 : The poet chooses to be a vagabond because he has unlimited independence and has not tied to any limitation. It is his care free life, without any aim or worries that makes him feel happy as a vagabond.